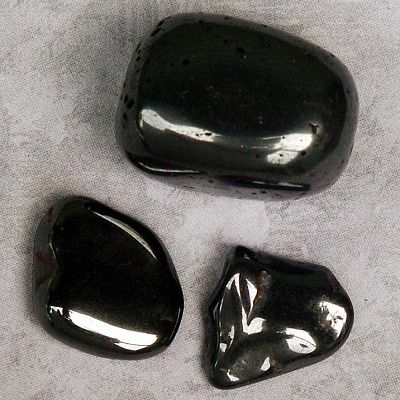 - A set of three tumbled black onyx gemstones. 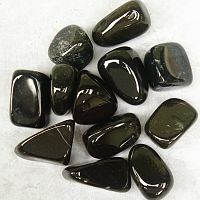 Stones will vary in size and shape, but most are in the range of 3/4" to 1-1/2". Onyx is said to dispel negativity and loneliness. It aids in grounding, decision making and self control. Do you have any other questions about our Black Onyx? The stones were all of a good size, and nice quality. Real beauities. Larger then I had expected. First class.